The South-East Marine Protection Forum has released the 2803 submissions received through its consultation process in late 2016. The Forum consulted on 20 proposed sites for possible inclusion in a network of marine protected areas from Timaru to Waipapa Point. The submissions received represent a wide range of stakeholders and demonstrate a high level of engagement and public interest. Forum chair Maree Baker-Galloway says it is important that the views of those who took the time to provide feedback are available to all interested parties. The Forum has also released an independent Summary of Submissions and an independent Summary of Science Submissions. The documents are intended to make the information more accessible for the Forum and the public. The Forum will refer to the summaries and the original submissions throughout its deliberations. The submissions and the summaries appear on the Forum website at https://south-eastmarine.org.nz/yoursay/summary-of-submissions/. Private and commercially sensitive information has been removed. The Department of Conservation and the Ministry for Primary Industries have approved an extension for deliberations until the end of September. The deadline for a final recommendation report to Ministers is under review. The Forum is aiming to complete the report by the end of 2017. The South-East Marine Protection Forum/Roopu Manaaki ki te Toka has determined it needs more time for its deliberation process. 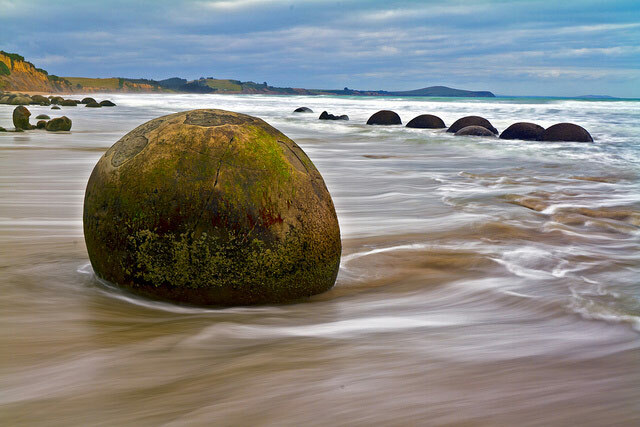 The Forum have been working to a government deadline of 28 April 2017, for the delivery of its final recommendations for a network of marine protected areas on the south-east coast from Timaru to Waipapa Point in Southland. At a Forum meeting held over the last two days, members were unanimous in supporting a request to extend the delivery deadline for a period of up to four months. A summary of submissions which is being prepared by an independent analyst, is expected to be finalised within the next month. Once it has been officially tabled, it will be accessible to the public via the Forum’s website. A database of redacted submissions will also be publicly accessible in the near future. Information that submitters indicated they did not want to be made public will be withheld along with all individual submitter’s contact details. The Forum expects to provide a formal request to Ministers before the end of April. 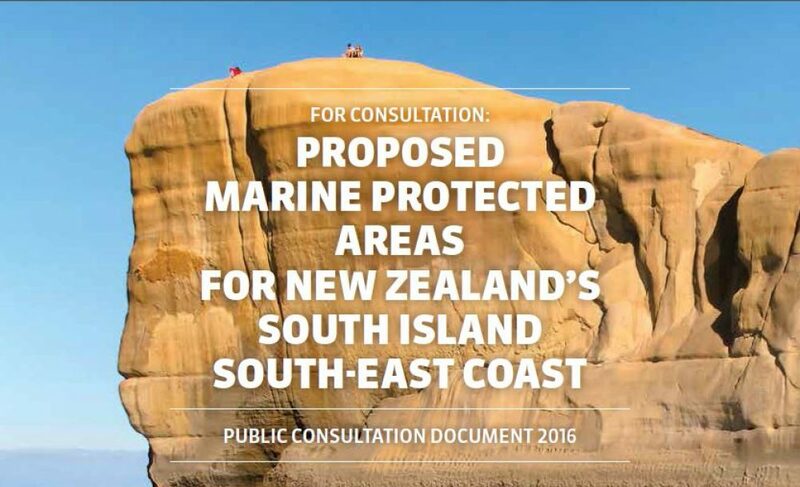 The forum, created in July 2014 with support from the Department of Conservation and the Ministry for Primary Industries, has been asked to recommend to the government what sites, from Timaru down to Waipapa Point in Southland, are deserving of marine protection and what type of marine protection the sites need. The first stage of the planning process, consultation and information gathering, was to have been concluded by February 2016, followed by a formal submission process. However forum members were unanimous in wanting to have more time to engage with their stakeholder groups. Forum membership represents a broad spread of interested parties, including iwi, community groups, and fisheries, science, tourism and environmental interests. The forum wants to understand the history of the marine environment, what has changed, what people value about it, what the threats are to those values and what communities want to see happen to their marine environments in the future. The formal submission process is now expected to begin in September 2016 and final recommendations are scheduled to be provided to government by April 2017. The South-East Marine Protection Planning Forum/Roopu Manaaki ki te Toka has requested more time for their planning process so that members of the forum can continue engaging with their people and stakeholder groups. Consultation was to have been completed by October this year. Since that request was made the forum also discovered that misleading information regarding the process has been circulated within the region. The forum believes this highlights the need to ensure that the planning process includes sufficient time for effective and well informed engagement with stakeholders. At this point no areas have been confirmed for marine protection or even for the formal submission process, but up to 46 options have been identified for further discussion based on their biodiversity values. Forum chair Maree Baker-Galloway says that the forum has become aware that a set of maps, outlining some of the areas of interest which have been discussed by the Forum, have been circulated amongst the public without accompanying information required to understand their significance. The forum has not made any decisions about the number of sites. But, the network of marine protected areas is expected to be representative of the region’s biodiversity. It is to achieve this by including examples of typical habitats. Consideration will also be given to protecting rare or outstanding habitats. The forum will be looking for options that minimise adverse effects on Treaty settlements and existing users, and the 46 areas are a starting point for discussions about such options. The minimum requirement is for at least one area to be designated as a marine reserve, and for at least one other area to be included that may have a lesser level of protection. Maree Baker-Galloway says that the process of refinement, before the public is formally consulted through the submission process, is exactly what the Forum is in the process of doing now. The working draft maps were used by Forum members to consult with their networks and bring feedback and more information back to the Forum. “Depending on the information we get out of the ongoing consultation and submission process, the final set of recommended areas could look completely different to these working drafts. It really is an interactive process that is dependent on the information we have in front of us”.